In the last decade, cosmetic surgery has become so common that few people who undergo the knife for a nip or tuck even try to deny it. When celebrities who are constantly photographed and scrutinized undergo augmentation or reshaping of body parts, denial is certainly not an option as the “then and now” photos reveal all. Some celebrities and well-known people have seemingly become addicted to cosmetic surgery. It is evident by looking at photographs over the years of Michael Jackson or Jocelyn Wildenstein that cosmetic surgery can go too far. It can also go terribly wrong and result in plastic surgery injuries and even cosmetic surgery deaths, as in the case of the mother of recording artist Kanye West who recently died from complications after tummy tuck and breast reduction surgeries that were done at the same time. Plastic surgery is so popular now that lots of “real” people opt to have elective cosmetic procedures, often to boost self esteem or fix something about themselves that they perceive as unattractive. Many people focus on the cosmetic aspect of the procedures they desire and forget that it is actually surgery. Cosmetic surgery, as with all other types of surgery, comes with risks of injury and potential complications that should not be ignored or glossed over. A trusted board-certified cosmetic surgeon should always be carefully selected. 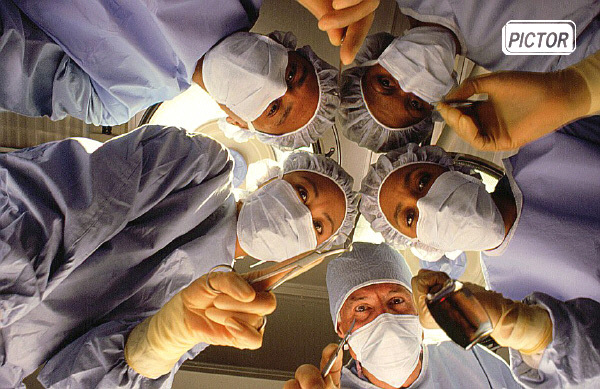 Any surgery that requires anesthesia or sedation carries serious risks including severe reactions to the anesthetic. Other complications could include a blocked airway requiring an emergency tracheotomy, brain damage due to decreased blood circulation, paralysis, heart attack, blood clots, injuries, illness and death. Aspiration can also occur while under anesthesia and cause infections, obstructions in the lungs, a chronic cough or pneumonia. Bruising and blood loss during and after cosmetic surgery may be completely normal. However, another possible complication during and following cosmetic surgery is excessive blood loss. Patients should always discuss with their doctors what can be considered normal and what situations should be immediately checked out with a follow-up visit or at the hospital emergency room. After eye lift surgeries excessive bleeding can lead to blindness, so any abnormal bleeding should not be ignored. Patients who are under anesthesia for extended periods of time or who have liposuction on their legs have a greater risk of developing blood clots that could be fatal. Care should be taken not to remain in the same position for long periods to time during recovery and any concerns about the risk of blood clots should be discussed with the cosmetic surgeon. Following any surgery, there is the possibility of infection. Infections can spread quickly and be very serious and therefore all due care should be taken to prevent them. After an infection, it is sometimes necessary for patients to undergo additional surgery to remove necrotic skin and tissue which can affect the final cosmetic outcome. Smokers are more likely thank non-smokers to develop necrotic tissue and require further surgery. After liposuction infections can be extremely serious because although the external incision is small, the internal wound under the skin can be large. A cosmetic surgeon can explain the risks and steps to take in order to avoid developing an infection after cosmetic surgery. Some patients may have numbness following cosmetic surgery. During surgery, nerves may be severed and in the case of a surgical mishap, serious damage can occur and result in injuries that cause temporary or permanent numbness. During face lifts, permanent nerve damage occurs in approximately 1 out of 1,000 surgeries according to a Forbes report. Facial nerve damage and numbness can be devastating personal injuries. Numbness is also common after tummy tuck and breast augmentation surgeries. When things go wrong during the recovery process following cosmetic surgery, patients can suffer from internal bleeding or hernias that can require additional surgery to correct. A skilled cosmetic surgeon can often minimize the appearance of scars after surgery, but there is always a risk of thick, red scars called hypertrophic scars after surgery. Sagging and drooping, called ptosis, after cosmetic surgery on the eyelids can be common. Most of the time ptosis is permanent but can be corrected with another surgical procedure. Ptosis that will self-correct can often be experienced after Botox injections. Although rare, deaths from cosmetic surgery can also result from complications during or after undergoing the specific cosmetic procedure. Can you Shine your Lips and Slim your Hips? Lip Balm Addiction: Real or Imagined?